In June 1991, Cortez, age 21, was living in a squatters' area in San Francisco Del Monte in Quezon City. He was given a picture of the Madonna, which he placed on an altar. The following night he heard a soft voice and the sound of beautiful music. Cortez followed the voice and found it was emanating from the picture. The Madonna was shedding tears of blood and the baby Jesus in the altar appeared to be catching the tears with one hand. The picture was later placed on a church altar, and a relative of Cortez was healed of a fever. Other miracles have accompanied these manifestations. Columnist Christine Dayrit reported on one particular miracle which others have experienced as well - sacred images appearing on rose petals. "He [Cortez] took a flower from a vase of fresh white roses which we had brought. He then took the petals from the stalk by removing the sepal. One by one, Carmelo placed a petal on our shoulders as we said our prayers ... After a few moments, we were asked to take a look at the petals. To our astonishment, what were originally plain white rose petals had now on them the image of the crucified Christ." Others present "cried in exultation" as images of the Madonna, the Sacred Heart, Mother and Child, St Joseph and Child, St Francis of Assisi, and many others, appeared on their petals. 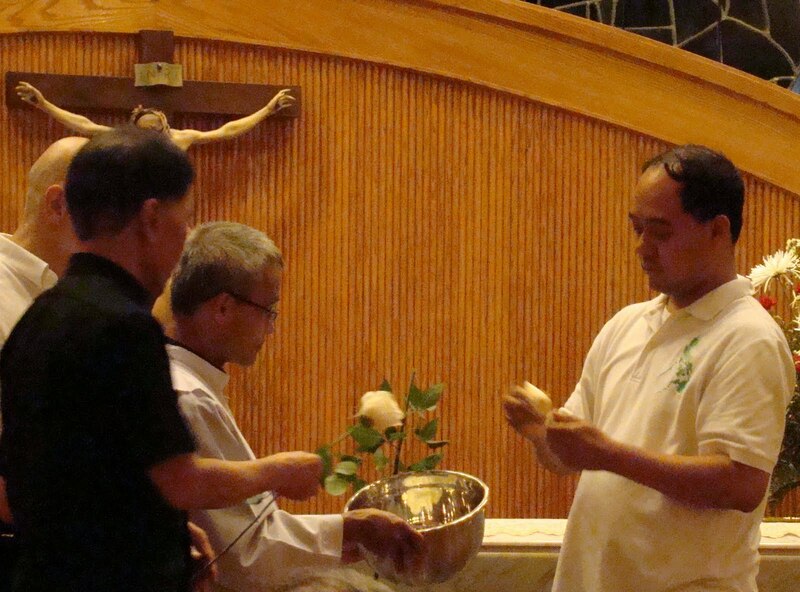 Bring your own white roses on which the petals will be miraculously transformed into holy artworks! Please respect the request, however, that only one petal is for each attendee. For more information, please see my previous posts on Carmelo Cortez, including THIS ONE and THIS ONE.